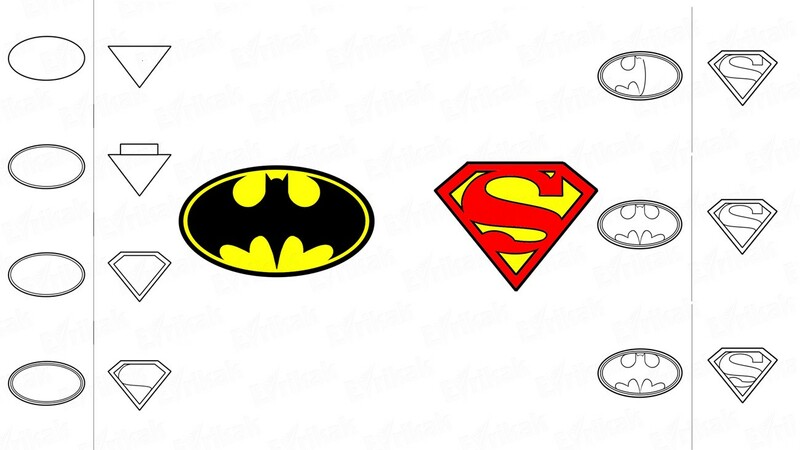 Batman and Superman are heroes of comic strips who became legends. And children, especially boys, really want to be like them, save people and do good things. Little naughty children are often more capricious. To distract your child, offer him or her to draw the badges of his or her favorite heroes. We are sure that your child will stop to be capricious and he or she will be keen on drawing.  Divide a sheet of paper in half with the help of a vertical line to make your badges of equal size. Now draw the figures which will help you to draw. 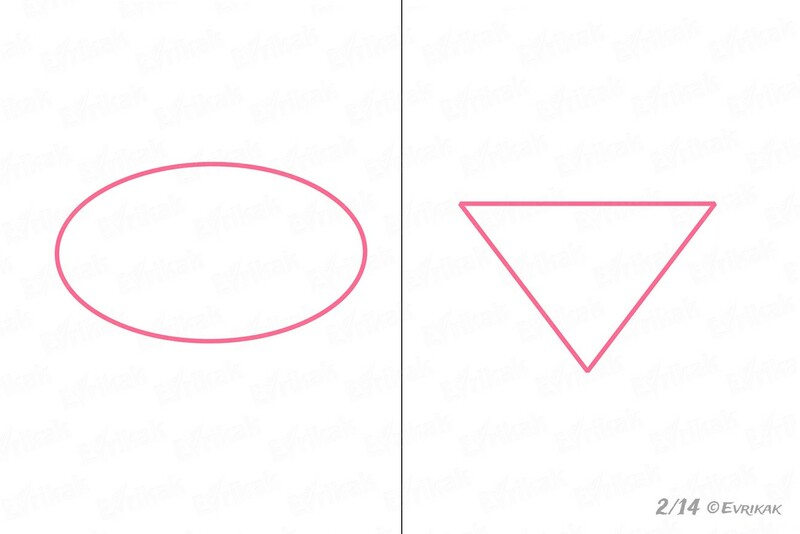 It’s an oval and an inverted triangle. Draw a small rectangle on the triangle. 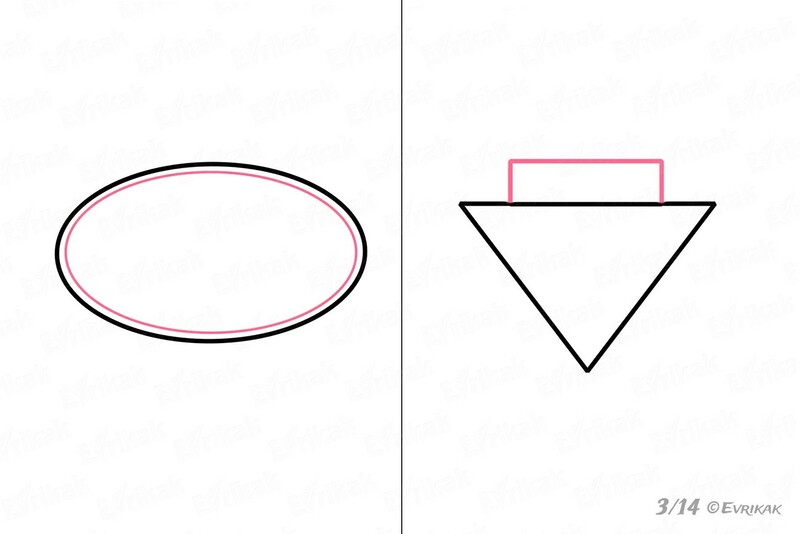 Draw a small figure inside the oval near the borders. Connect the triangle with the rectangle in order to make the figures look like a diamond. Draw the same figure inside Superman’s badge. But it must be smaller. Draw a smooth curved line inside the triangle. Draw third oval inside Batman’s badge. It must be the smallest. Many people think that drawing a flat bat (Batman’s symbol) is difficult. Do this with the help of ovals. Examine the figures’ location attentively. They slightly resemble the toad’s silhouette. Add the volume to letter S.
Erase unnecessary lines in Batman’s badge, draw its head. The left half of the bat is ready. Draw the right part of the bat in the same way. The lower part of the letter S is much smaller than the upper part. Draw it in such a way to put the contours of it in the triangle. Correct the letter’s contours at the top. 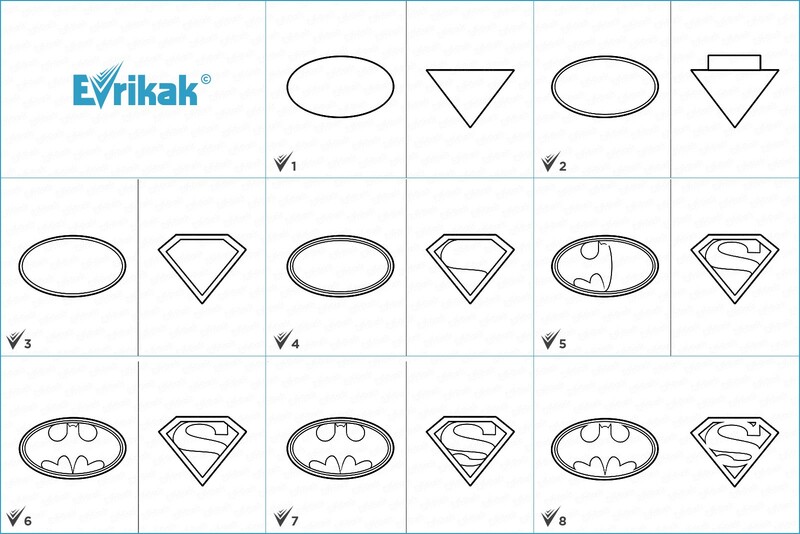 Erase the parts of the third oval at the top and at the bottom in Batman’s badge. The letter S merges with the rim. 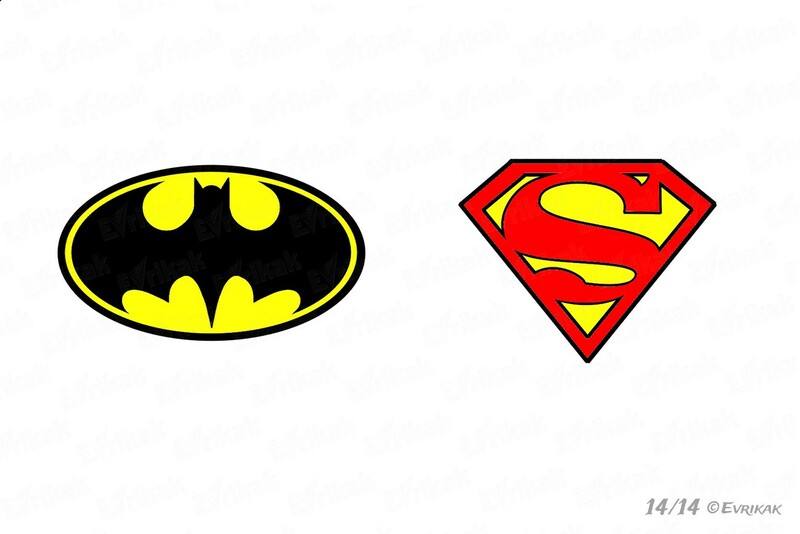 Batman’s badge is black and yellow, and Superman’s emblem is red and yellow. Or offer your little naughty boy or girl to color these logos online. Be sure, your child will like it!